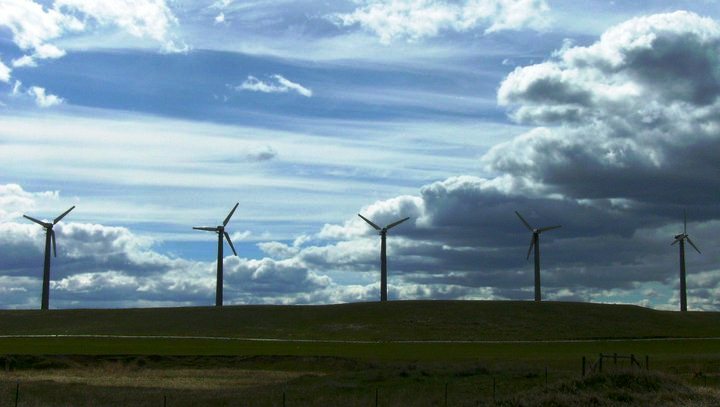 Nope, they’re not your modern day wind mills. Actually quite diferent from wind mills used as early as the late 1800s in places like the XIT Ranch of Texas to draw underground water for livestock. These modern day wind turbines are found in wind farms across the globe, generating 2% of the electricity in the U.S. today. 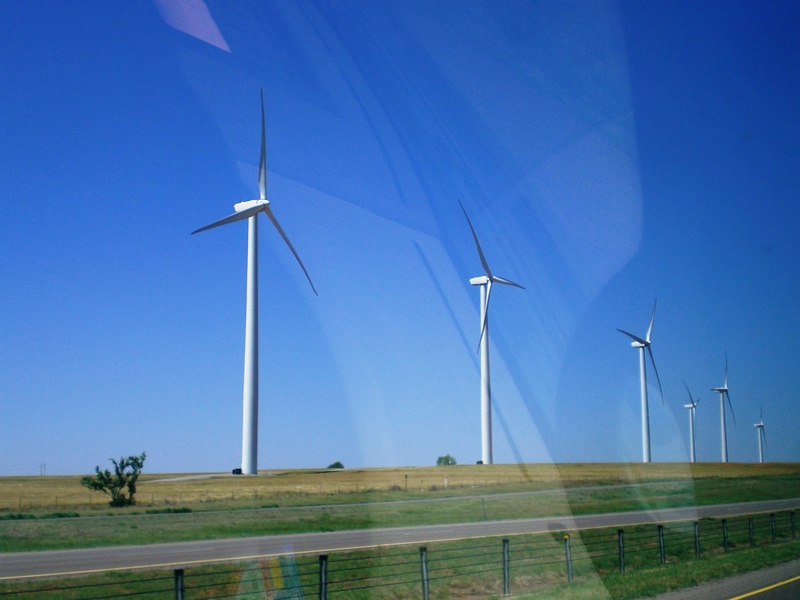 On the drive through Oklahoma, Texas, and New Mexico last week these things dotted the horizon. While I lived in Dalhart last year I remember looking out at the night sky (more like morning on my way to work at 3 AM some days) and watching the blinking lights off in the distance from these towers. They are pretty majestic to watch and quite the distaction along I-40. If ole Boone Pickens has anything to do about it, we’ll being seeing more of these in the near future. Do you have any wind farms in your area? What are some of your experiences or stories about wind power? We live smack in the middle of the first turbine project in Indiana, and I am a big fan. The initial building is a bit of a pain due to road deterioration, and soil compaction from very large equipment going back and forth on your fields, but in the end, we have nice, wider roads, a handy lane down the middle of most fields to park the semis during harvest, and we are helping future generations with this issue of energy. Here is a link to one of my posts about the windmills . Haha, you’re a “big fan”. Unfortunately, We’d need those turbines to generate some wind here in Arkansas instead of electricity. Love the one’s outside of Lubbock. The numbers keep growing… I wish we had one at the ranch!